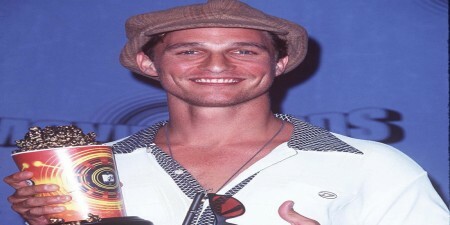 Matthew David McConaughey is an American actor and producer. 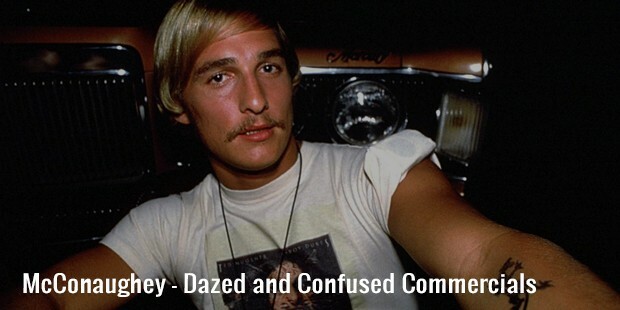 He shot to fame in 1993 by his performance in Dazed and Confused. He won an Academy Award and Golden Globe Award for the film Dallas Buyers Club. He also won Critics Choice Award and was nominated for Primetime Emmy Award for Outstanding Lead Actor in a Drama Series for “True Detective” on HBO. 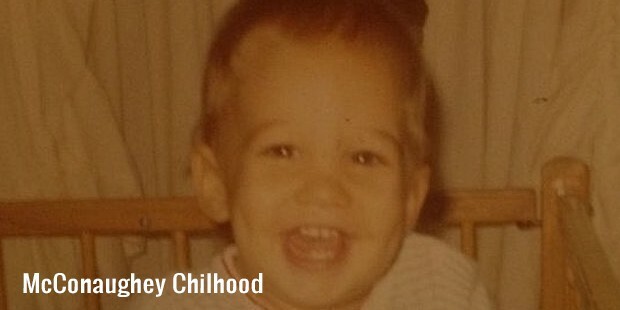 McConaughey was born to Mary Kathleen and James Donald McConaughey on 4 November, 1969 in Texas. He graduated in 1993 with a bachelor’s degree in Radio-Television-Film. McConaughey wanted to become an actor but decided to pursue Law to help his family with the finances. While in college he realized that he was not interested in becoming a lawyer and decided to pursue acting. By 2000’s McConaughey had acted in many romantic comedies and was well appreciated by the audience. 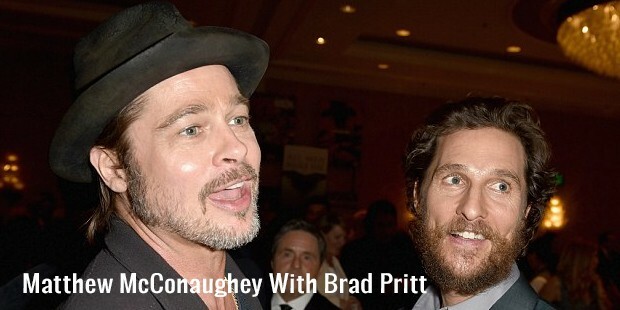 Some of his performances were in “The Wedding Planner” and “How to lose a Guy in Ten Days.” McConaughey worked with Kate Beckinsale in a low budget film called “Tiptoes” and Al Pacino’s “Frailty” with Bill Paxton. In 2005, he worked with Penelope Cruz and Steve Zahn in the film “Sahara.” Later, in 2006 he worked with Sarah Jessica Parker in a romantic comedy “Failure to Launch” and “We Are Marshall.” He replaced Owen Wilson in Tropic Thunder after Wilson’s suicide attempt. In 2012, he starred in Magic Mike directed by Steven Soderbergh. He played the role of Ron Woodroof in the movie “Dallas Buyers Club” in 2013 which was critically acclaimed worldwide. 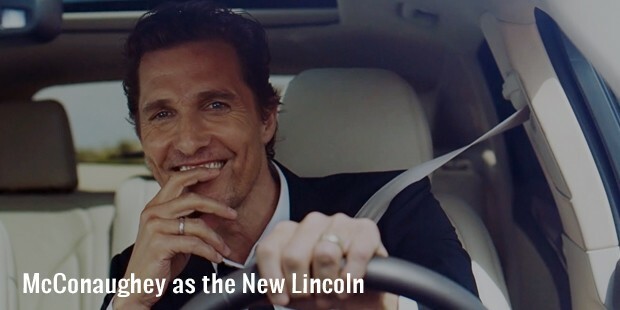 McConaughey signed a multi-year collaboration with Lincoln Motor Company for an ad campaign. He appeared in the HBO’s 2014 True Detective and yet again proved his acting. He played the role of a widowed father alongside Anne Hathaway in Interstellar in 2014. 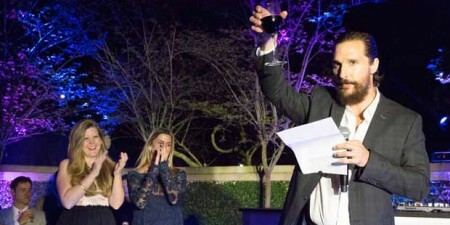 His upcoming movie “The Sea of Trees” is set to release in 2015 co-starring Ken Watanabe. McConaughey’s role as a cowboy in “Dallas Buyers Club” was critically acclaimed and earned him Golden Globe Award for Best Actor-Drama and Academy Award for Best Actor. 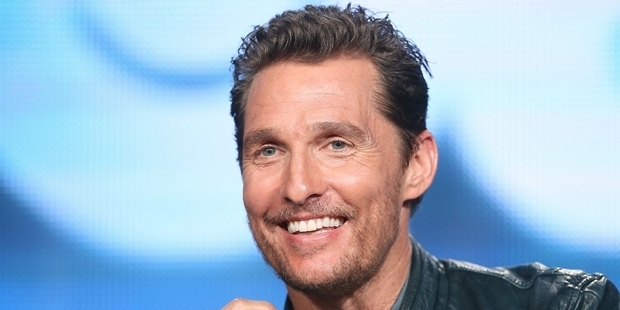 McConaughey was listed one of the “Most Influential People in the World” by the Time magazine in 2014. McConaughey met Camila Alves, a Brazilian model and television performer in 2006. They became engaged in 2011 and married in 2012. They are blessed with three beautiful children, two sons and a daughter. 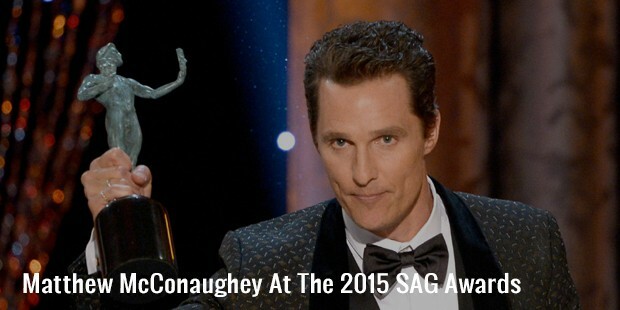 McConaughey won Academy Award and Golden Globe Award for Best Actor for the film Dallas Buyers Club. He earned Critics Choice Award and was nominated for Primetime Emmy Award for Outstanding Lead Actor in a Drama Series for “True Detective” on HBO. McConaughey was named as the sexiest man alive in 2005 by the People’s Magazine. 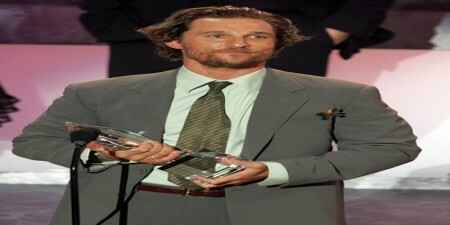 McConaugheywon the MTCV Movie Award for Best Breakthrough Performance for “A Time To Kill” in 1996. In 1997, he won Lone Star Film & Television Award for Rising Star. In 2002, he won the Florida Critics Circle Award for Best Cast for Thirteen Conversations about one thing. In 2006, he won four awards for Bernie including Austin Film Critics Association Special Honorary Award and Gotham Award for Ensemble Cast.